Winston is available for clinics and local store presentations. 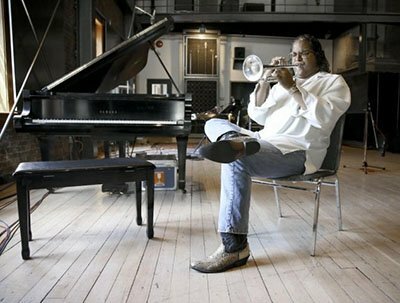 Winston Byrd is an accomplished trumpet player who has built a reputation for melding his professional style to a wide range of musical genre including classical, blues, pop, jazz and improvisation. Performing since the age of 17, Winston has devoted himself to music while honing his skills on tour, in the studio and performing live with legendary names in the industry. At the forefront of the jazz-fusion movement, Winston continues a love of jazz that began in the 7th grade where legends like Dizzy Gillespie, Maynard Ferguson and Arturo Sandoval began to influence his playing. After graduating from high school in 1991, he decided not to attend New York University to study Clinical Psychology and instead set out to make his mark on the music industry, and jazz specifically. His reputation began to soar as his artistry for hitting the higher notes grew and captured the attention of many in the music industry. It was the early attention of fellow trumpeter Jon Faddis who would not only become a role model and mentor, but also who opened the door for Winston to become a member of the world famous Dizzy Gillespie All-Star Big Band. Winston continues to hone his craft, pushing his playing and composing styles in new directions and constantly evolving as a musician. His professionalism has earned him recognition and praise from his peers as he cements his position as one of today’s leading jazz performers.